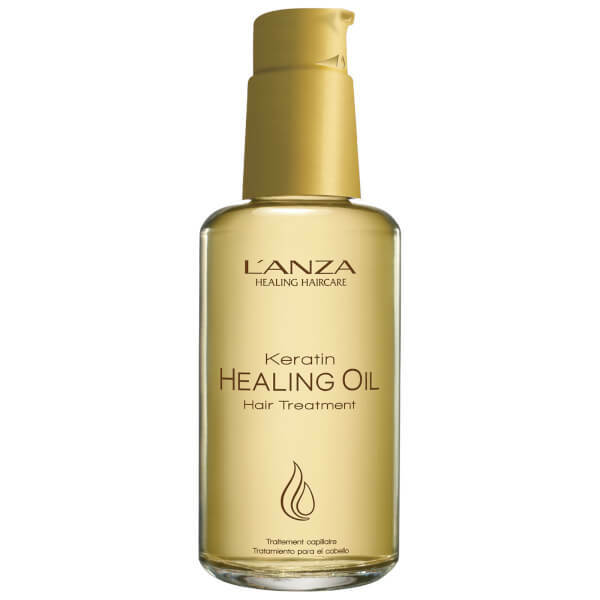 Restore healthy, radiant locks with the L'Anza Keratin Healing Oil Hair Treatment; a deeply nourishing formula that works to strengthen hair from root to tip. Powered by Keratin Protein and a revolutionary Phyto IV Complex that combines Abyssinian Flower Oil, Coffee Seed Oil, Acai Fruit and Babassu Kernel Oil, the treatment penetrates deep into hair to deliver superior hydration and reconstruct hair from within. Replenishes moisture and adds body, whilst shielding from heat styling damage so you can experience a smooth, frizz-free finish. Free from sulphates, parabens, gluten and sodium chloride. 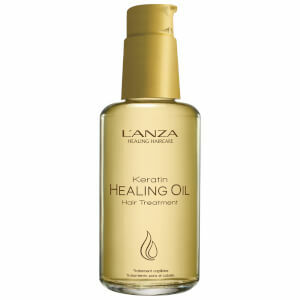 Works best after Keratin Healing Oil Shampoo and Conditioner. While hair is still wet, gather dime size and add to hair. Leave in for 5 minutes. Rinse and towel dry. Cyclopentasiloxane, Dimethicone, Caprylyl Methicone, crambe Abyssinica Seed Oil, Orbignya Speciosa Kernel Oil, Astrocaryum Murumuru Seed Butter, Polysilicone-15, Keratin Amino Acids, Euterpe Oleracea Fruit Oil, Coffea Arabica (Coffee) Seed Oil, Cereus Graniflorus (Cactus) Flower Extract, Dimethiconol Meadowfoamate, Sodium PCA, Magnesium PCA, Zinc PCA, Manganese PCA, Ceramide-2, Isopropyl Palmitate, Trimethylsiloxyamodimethicone, Benzotriazolyl Dodecyl P=Cresol, TBHQ, Tocopherol, Fragrance (Parfum), Benzyl Benzoate, Cinnamyl Alcohol, Alpha-Isomethyl Ionone, Red 17 (CI26100), Yellow 11 (CI47000).